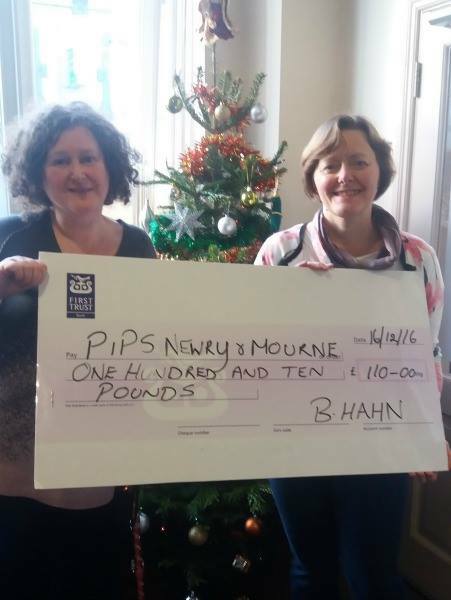 An afternoon of singing German Christmas carols with coffee and cake, Beate Hahn and friends raised a fantastic amount of £110.00 all in aid of PIPS Newry and Mourne. Thank you Beate and all who joined you on the day your donation is very much appreciated. Below Beate Hahn presents Fionnula McKinney PIPS with the cheque.